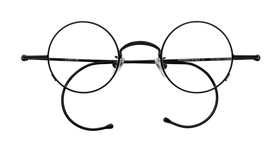 Men have been wearing round eyeglasses for hundreds of years. Scholars, academics, leaders, presidents, musicians, artists, and even kids love round eyeglasses. Round eyewear gives men the look of intelligence, balance, and control, a sense of confidence founded in intelligence, not physical prowess. 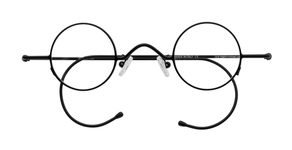 Round glasses are symmetrical, and imbue men with a calm, balanced view of the world, and a stability that comes with it. 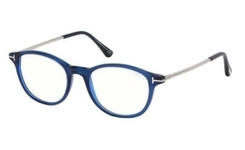 Round eyewear is very popular for men these days, and it has been an important part of the male wardrobe for a very long time. 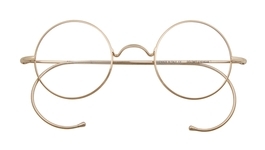 When looking for round frames, men should remember that there is a big difference between perfectly round, and almost round. 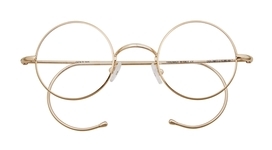 Perfectly round glasses have a different style from almost round frames, because perfectly round is more stylized, and has an older vintage feel. 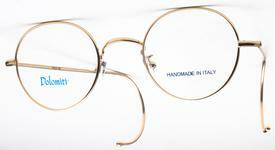 Almost round glasses are also call "Panto" or "P3" style, and are a more modern version of perfectly round glasses. 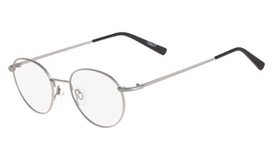 A great example of almost round glasses is the Anglo American AA406 frames which still offer the classic, intelligent look that lawyers love.